Le Bistro - Nopolo News​ ​"​Events & More"
A delightful experience at Le Bistro today! This new French restaurant in Loreto Bay FN469 offers delicious appetizer platters to share, sip wine, cold beer, or enjoy deep rich coffee from the mountains of Uruapan Mexico. 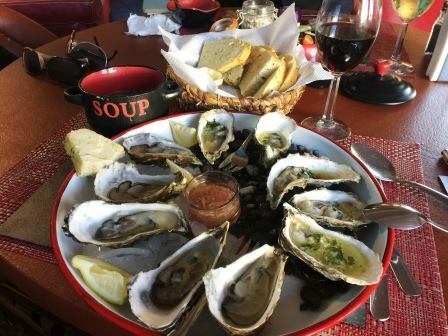 We had the Oyster platter of raw oysters, accompanied with sea salt fresh horseradish; and some cooked with butter and garlic. In my 14 years in Loreto, I have never tasted any as fresh and cooked to perfection! The oysters are delivered daily from the Pacific. 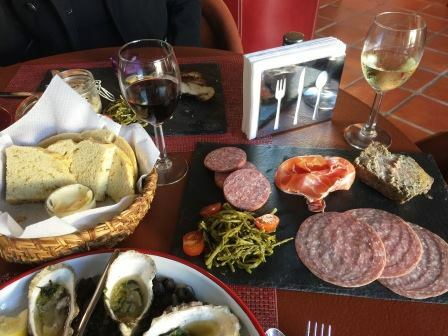 Le Bistro offers Meat Platters with homemade Cognac Pate, Salami, Prosciutto Ham, and Garlic Sausage accompanied by a light vegetable garnish. 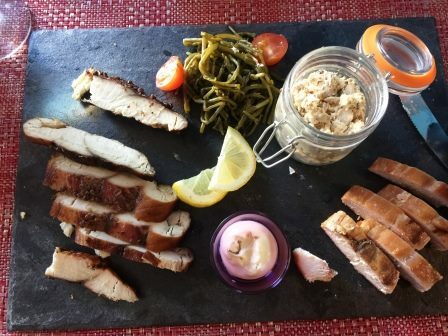 They also offer Assorted Cheese Plates; and Fish Platters with smoked tuna in brown sugar, regular and fish Rillettes (shredded). 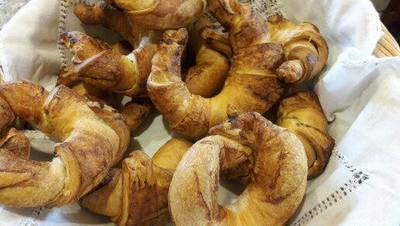 They bake their own bread everyday; as well as offer homemade soups. Today was French Onion or Fish Soup. 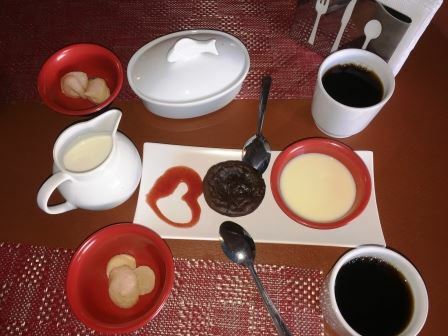 We sampled their Chocolate Fondant which is similar to a Lava Cake ... warm, soft and melts in your mouth, accompanied with Sweet Cream. 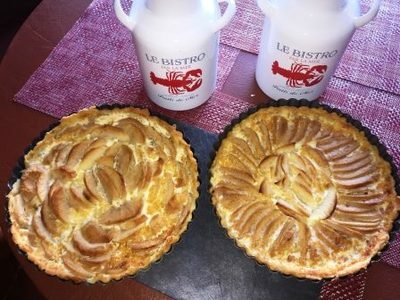 Definitely try their homemade Apple Pie (lots of real butter) or berry sorbets all freshly made. Le Bistro can provide Meat/Cheese Platters, Quiche Lorraine, and other delightful sampling platters for your holiday parties with a few days notice. They are open at Noon Monday to Saturday; with the kitchen closing at 7 pm. This is a relaxed atmosphere with delicious homemade treats, and a place to visit with friends for several hours. They will not bring you the bill until you ask for it!